Please select any of the frequently asked questions from the list below, but if you have any other queries, please don’t hesitate to email or call us on 0161 225 4000.
are you able to provide land or building plots? Unfortunately no, not yet. However, we are becoming increasingly involved in Custom Build projects where serviced plots with Planning Permission tend to be sold to individual homeowners – please visit our Custom Build page for more details and our current projects. Also try Rightmove – on their search page you can select “land” in the “Property type” list. You may want to contact local estate agents to inform them that you would be interested in vacant land, or properties requiring considerable repair work or in need of demolition. I’m a land owner, can you help us to develop it? Yes. Although we principally design and supply buildings, we can offer a comprehensive range of services from masterplanning to marketing. If you have land, we can help you to develop it, although this may be subject to local planning policy. There is a huge demand for our homes, but people struggle to find land on which to put them. We can work with both individuals and property developers, potentially creating a Custom Build project with our own design code. Please call Ric on 07976 704 532 to discuss further. do you build the whole building? We can build the whole building from the foundations up, and will fully fit it out, painted and with floor finishes. We can even put up curtains and fit blinds. We can also just build the shell (including the cladding, door & windows, first fix services and internal lining) for you to complete yourself. A further option is to have a third-party contractor assemble the building. This may be more appropriate if there is already a main contractor on site or operating locally. We’ll still supply the full timber frame panel system and all other materials and components, ensuring everything that is needed is ready on time together with any specialist tools. For the groundworks (foundations and service connections) we produce a design that can then be tendered or negotiated with a local third-party groundworks contractor. We will co-ordinate this part of the project, but the contract will be direct with you the client. Our prices are broken down into 3 categories – the cost of the building shell, the building fully fitted-out and an approximate cost of what the total building project may be. Listed below are the elements that are included in each. Savings can be as much as 20% on multiple buildings through larger quantities of materials and components and the sharing of preliminaries such as site equipment etc. The approximate overall project cost includes the typical price for foundations & utility connections, Structural Engineers foundation design fees, Approved Inspector fees, Energy Performance Certificate (EPC), Structural Warranty, site insurance, transportation, crane, specialist lifting equipment, material storage, site fencing, welfare and waste removal. This is only a guide price… although we can provide a fixed price for the building itself, site-specific factors will have an impact on the total cost, such as the site location, ground conditions (which will determine the type of foundations we use) and proximity to utility connections. Please note that all of our costs may vary from time to time due to market conditions and general design development. Our prices don’t include land or VAT (but new homes are often zero-rated). The original intention for what was called the “dwelle.ing” is that it is completely independent and therefore off-grid and zero carbon. This is possible, but there is however an additional cost to incorporate renewable energy systems. We will design these specific to the site and number of buildings proposed. 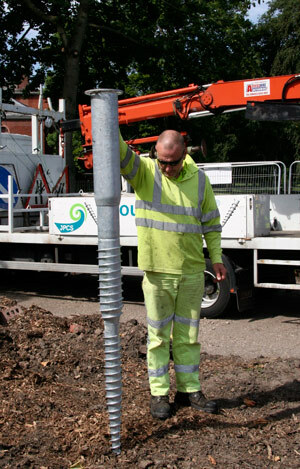 Alternatively, you can easily connect to an existing electrical and water supply and drain into existing sewers, eco-digester system or a septic tank. how mobile are your buildings? Only our mobile designs have been designed to meet the definition of a caravan and conforms to BS 3632-2005 (Residential Park Homes – Specification). This means they can be used as a permanent dwelling without having to comply with Building Regulations. Our other designs fully comply with Building Regulations as dwellings and non-dwellings. The smaller ones can be adapted to allow relocation, but will require a galvanised steel base. This however may impact on planning, letting or mortgage criteria. The definition of what constitutes a caravan is often misunderstood, and does not simply apply to accommodation with wheels attached that can be towed by a car or other means. So far as the law is concerned, a park/mobile home, a caravan holiday home, touring caravan or Gypsy and Traveller home are all capable of coming within the legal definition of a caravan provided they retain the element of mobility. Mobility means that the caravan must be capable of being moved when assembled, from one place to another, or to a different site. The physical movement need not be by means of towing with a car or other vehicle. It may involve movement by specialist equipment such as lifting gear, lorry or low-loader. The crucial element is that to meet the definition of ‘caravan’, it may not be fixed to the ground. Permanent works, such as a large porch or extension, which fix the caravan to the ground could mean that a caravan no longer comes within the legal definition of a caravan and could as a consequence be treated as a building. Where a caravan is permanently affixed to the ground, this potentially has serious planning, legal and contract implications for site owners and residents. Site owners could be in breach of planning permission for the site, and residents of park homes would lose their protection under the Mobile Home Act 1983. 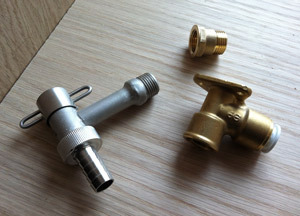 The connection of mains water / electricity / sewerage or addition of cosmetic skirts that do not fix the accommodation to the ground do not prevent the accommodation from coming within the definition of a caravan. (c) overall height of living accommodation (measured internally from the floor at the lowest level to the ceiling at the highest level): 10 feet (3.048 metres). (c) height: 3.05 metres (10.006 feet). Subsequently these revised dimensions have also been adopted by the National Assembly for Wales. When considering whether or not lettings information falls within the statutory definition of a caravan, the Rent Officer must consider the actuality of the accommodation in question. The accommodation cannot be considered to be a building (such as a bungalow) unless it is physically and permanently affixed to the ground and is incapable of being moved. 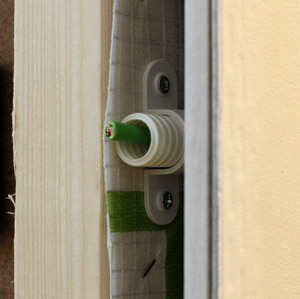 Connection of services do not constitute permanent fixing of the accommodation as in most cases they can be simply disconnected to facilitate movement. Similarly, brick skirts around the base of a mobile home would not constitute permanency if the accommodation could be moved using specialist apparatus. If the accommodation was mounted on integral fixed foundations, then it could be said to be permanent. Similarly, if the accommodation exceeded a twin unit of the maximum dimensions in legislation, then it would fall outside the definition of a caravan. what building standards do they meet? Wherever possible we meet and often exceed building standards. These include the Building Regulations, NHBC Technical Standards, Secured by Design and Lifetime Homes. We generally use Aedis as our Approved Inspectors for Building Control and for our Structural Warranties – our construction has been through their Type Approval service – this keeps our costs down as they only need approve them once, giving us the certainty to use the design repeatedly across different projects, in different parts of the country. We’re flexible – we can use other Approved Inspectors or Warranty Providers and Local Authority Building Control if required. can they meet the Code for Sustainable Homes? Unfortunately this Code doesn’t exist anymore. However, the design and specification of our buildings, as homes, will potentially meet Passivhaus and what was Code Level 6 of the Code for Sustainable Homes. The exact standard achieved will depend on the specific size, the site location, orientation of the building, the choice of renewable energy/heating system and whether the MVHR and the triple glazed windows options have been selected. The U-value of the walls is 0.15 W/m²K, the elemental U-value of the windows is typically 0.76 W/m²K (depending on size) and the air leakage is no more than 0.75 m³/m²hr @ 50 Pa (0.6 air changes per hour). The design of the smaller buildings are capable of performing up to Code Level 5, however there are difficulties in achieving the mandatory Fabric Energy Efficiency standards in the ENE 2 category. The difficulty arises due to an apparent anomaly in the SAP methodology that penalises relatively small detached buildings, even though they are highly insulated, air tight and thermally efficient. The larger buildings could meet Passivhaus and actually surpass the Code for Sustainable Homes Level 5 and meet Code Level 6, with them also being Lifetime Homes compliant. Timber frame buildings meet all fire standards required under the current Building Regulations. Insurance and financial institutions do not differentiate between timber frame and masonry construction.